From high-speed chases to on-air arrests, Live PD has become appointment television for fans across the country. The Pasco County Sheriff's Office announced it is leaving the show after two seasons. PASCO COUNTY, Fla. — From high-speed chases to on-air arrests, Live PD has become appointment television for fans across the country. The Pasco County Sheriff's Office announced it is leaving the show after two seasons. The department posted the news on its Facebook page early this morning, saying, “We believe it is time for new agencies to be able to highlight, as we have, the good work their men and women do and, as one of the longest-tenured agencies on the show, we believe it is time for us to move on." 10News is taking a look back at some of the high- and low-lights of the sheriff's office's two-year run. With that line! Deputy Nick Carmack, his K-9 Shep and the Pasco County Sheriff's Office became fan-favorites on A&E's hit show Live PD after that scene made air. The show pulls back the curtain on law enforcement across the country, following them in almost real-time. Just last week, deputies tracked down two of the four men accused of this brutal beating of a helpless teenager. Live PD's cameras were rolling when they made the arrests. Thanks to the show, everyday deputies became celebrities. One of them crashed a wedding after learning a bride and groom who were huge fans. 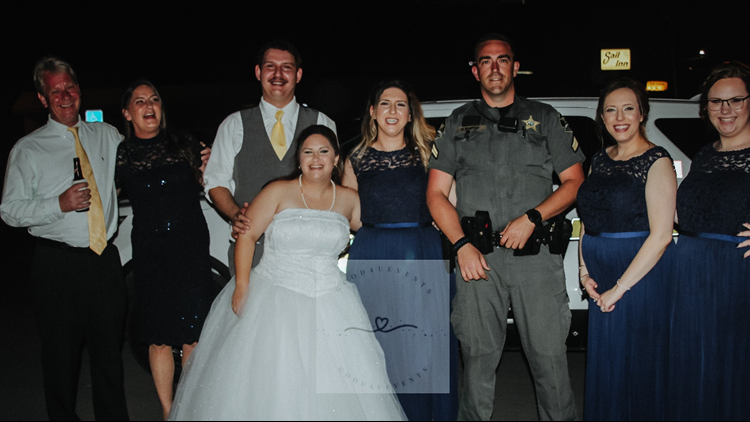 For John and Christine Wurth, a visit Friday night from the Pasco County Sheriff's Office and "LivePD" was completely worth it. Despite the fanfare, the show also took heat from local politicians. Some of them worried the wild chases and erratic suspects on Live PD showed the county in a negative light. In one controversial episode, the show's camera crews captured the fiery aftermath of this chase. “An innocent bystander got involved in the wreck,” one of the deputies narrated from the scene. That innocent bystander's attorney later questioned whether the show sensationalized the chase. Still, through any negative attention the Pasco County Sheriff's Office got, fans stood by it. The department says it raised thousands of dollars for charity every time the show aired through merchandise sales. The show has yet to announce if any other departments in Florida will replace the Pasco County Sheriff’s Office. Rumors spread that the Polk County Sheriff’s Office was signing on, but a spokesperson tells us that’s just a rumor.